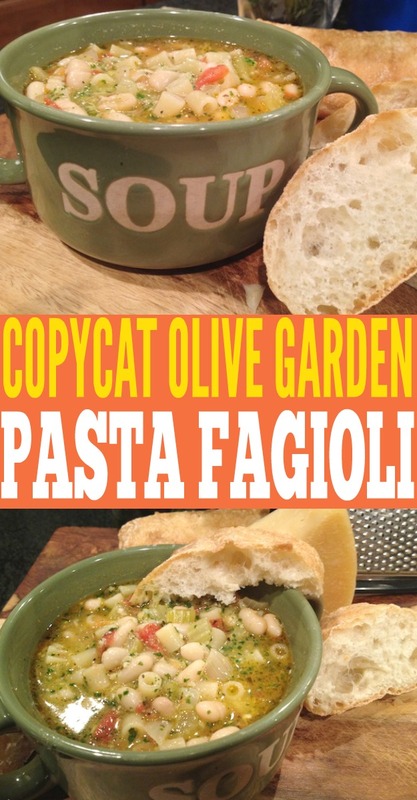 Do you love the Olive Garden pasta fagioli recipe? I seriously love Olive Garden soups! I could eat their soups and breadsticks every day. The sad part is, we don’t really have an Olive Garden near us. I’ve had to resort to making my own recipe. But let me tell you! It’s amazing! 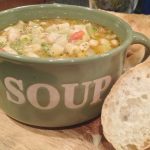 This recipe is very close to the Olive Garden Pasta fagioli recipe. Now, if only I could find a breadsticks recipe that matched the Olive Gardens, I’d be set! In a heavy bottomed pan, heat olive oil over medium-high heat. Add celery and onions and sauté until tender, but not mushy. Add garlic and cook for 30 seconds to one minute. Do not brown. Add 2½ cups of chicken broth to pot. Season with oregano, basil, rosemary and crushed red pepper flakes, if desired. Sprinkle with salt and pepper. Add chopped and pureed tomatoes to pot. Simmer on low for 20 – 25 minutes. Add uncooked pasta and cook until tender. Approximately 10 minutes. Add beans and reserved liquids to pot and heat through. Ladle into bowls and tops with a dollop of fresh pesto, if desired. Serve with freshly grated or shaved Parmesan cheese and crusty Italian bread. What Is A Good Crusty Italian Bread? I like a fresh Cibatta bread but anything with a good crust should work. What If I Can’t Find Cannellini Beans? A Northern or Navy bean is a good replacement. If you plan ahead, you can also order Cannellini Beans on Amazon. What If I Can’t Find Ditalini Pasta? You can use elbow pasta as a substitute. 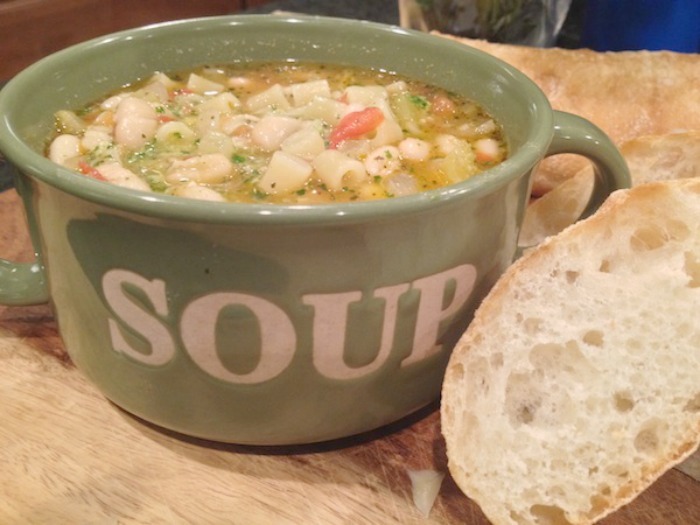 Can I Add Ground Meat To This Olive Garden Pasta Fagioli Recipe? I wouldn’t suggest it but you are welcome to try. Let me know what you think!